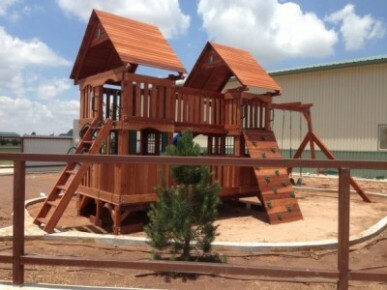 West Texas Swing Sets is your Newest Dallas Fort Worth Wooden Swing Set Factory Manufacturing our swing sets in the Dallas Area between Denton and Justin. Visit our Home Page, Playsets, and our ONLINE PRICING! By Appointment Only At this Time! If we need to schedule a time outside of our hours, Its not a problem! Call us today and we can meet you at a time that works best for you. We expanded to the Dallas/Fort Worth and soon will have a factory in Justin, Texas. 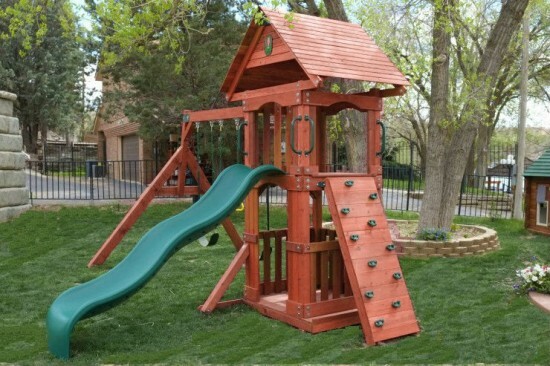 We have already traveled around and installed swing sets in Carrollton, Frisco, Lewisville, Midlothian and many other areas of the Metroplex. We offer Shipping and Installation on All of our Wooden Backyard Play sets. All Play sets come 80% Assembled, which means it will only take 3-4 Hours to install the remaining parts of the swing set.